See Introductory 90 second video on the Share The Experience Ghost Tour, with Steve Graham of "The Paranormal World" leading the Tour. Click PLAY button in the video box. 'The Paranormal World' in association with 'Alpha Omega Events' is proud to present a "Share the Experience" Ghost Hunting Tour. 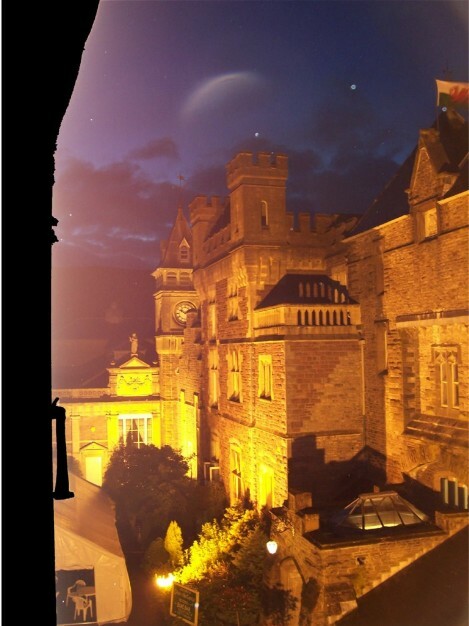 How would you like to spend a night in Wales's most haunted Castle? 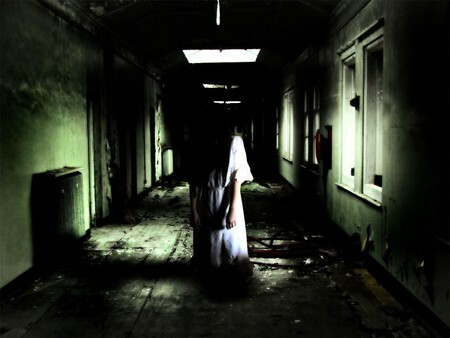 The infamous three hour ghost hunt is not for the faint hearted (or weak of heart)! After 'The Experience', rest awhile in the Nurses Block (hostel standard). Wake up to a hearty full English Breakfast and should you feel up to it, have an early morning stroll in the grounds of this haunted house. Optional History Tour included on the morning of your departure. Take in the splendour of Craig y Nos Castle and its stunning mountain scenery. Or take a walk in the Country Park. The whole ghost hunting package is only £77 per person for a minimum of ten persons to make up a ghost tour group. To book, you pay a non-refundable deposit of £40 per person (minimum of ten) to Craig y Nos Castle. The balance of £37 per head is paid by guests on arrival, split £25 to the Castle for the 2 course evening meal in our restaurant/ bar and £12 per head to the ghost tour company on the night of the tour. - all for £77 per person, (based on 2 sharing a double or twin room). 5) Dinner (please book from the menu a few days in advance) @ £25.00 per head based on on two courses, is included within this package. Enjoy good quality food and have a few drinks in the Patti Bar before your ghost hunting group ascends the creaking stairs up into the dark, derelict haunted upper levels, where abandoned rooms remain virtually unchanged from the hospital era. Please remain sober during the ghost tour for the benefit of your fellow ghost hunters and for your own safety. If you fancy a drink after the tour, the Castle does have its own Haunted Bar deep in the derelict upper levels - please book this in advance with Steve. See the GHOST TOUR AVAILABILITY PAGE for dates on which you can organise your own ghost tour. 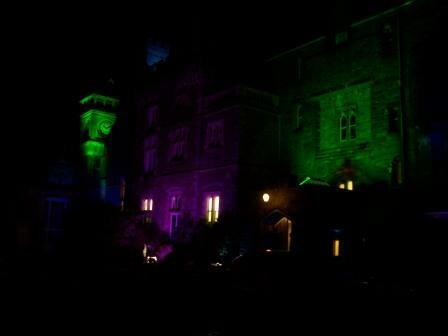 We had a hen party of ten from Cornwall, we had booked the all night ghost hunt at Craig Y Nos castle. From the very start of booking over email it was very easy and any possible question was answered without hesitation from a lovely Melanie, Nothing was too much trouble and she always replied to any email with 10 minutes of me sending one. As soon as we drove into the car park we were faced with one of the most beautiful castles. Check in was easy and quick with very pleasant staff. We were shown to our rooms and yes like some other reviews state the stair cases and halls are rather narrow but it is a old castle and the fact that the original layout is kept the same is what makes it what it is so that was no disappointment to us. Our rooms were absolutely fine, decor is old but again if it was modern it wouldn't suit the building so we didn't expect anything other than the way it presented itself and it was clean and tidy. Everyone was happy with the rooms. The food was absolutely gorgeous and everyone enjoyed their meals by the fire place which staff made a conscious effort to jeep well lit at all times during our meal. The staff were absolutely fantastic, everyone had a big smile on their face and they all made an effort to say hello and ask us how we were, even the ground keepers made a point of saying hello. Breakfast was superb and all meal portion sizes are huge. The staff truely were fantastic throughout our stay and they really make the place what it is! The ghost hunt itself was brilliant fun and staff asked us about our evening as we arrived for breakfast and whilst checking out, they make you feel so welcome and like family. All in all I would 100% recommend Craig Y Nos castle, we had a fantastic time in a wonderful place with brilliant staff. What more can you ask for. 1. If you arrive early you can take a stroll along the Country Park Woodland walks and Castle's Lower Gardens before Dinner. 2. View the Nurses Block accommodation where you'll stay after your Share the Experience Tour - note the first rooms on the link are the en-suites, so scroll further down the page to see the Nurses Block rooms. 3. See Evening Meal menu - your guests may select individual meals from the menu of the day, ideally a few days in advance, though to speed up service you may be invited to arrange a set menu for your group. 4. Some groups add the Ghost Tour to a Birthday Party - if you know of anyone who has a birthday coming up, show them this page! 5. On the morning of departure, around 10.00 - 10.30 am, you will be treated to a one hour or one and a half hour history tour of Craig y Nos Castle. 6. If you are organising a group for a longer stay, see our wide choice of South Wales outdoor activities. 7. 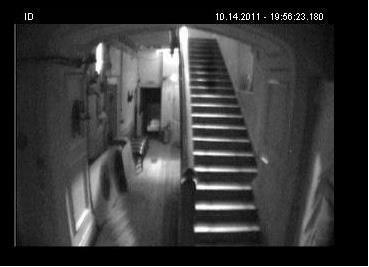 See some ghost stories of the castle (scroll forward using the 'next page' button to read all the ghost stories). 8. See History of the castle (scroll forward using the 'next page' button to read all the history pages).